Using the BeatStepPro, TR-8, TB-3 and other instruments, you’ll learn how to utilize the “MIDI” protocol that allows all instruments to communicate. 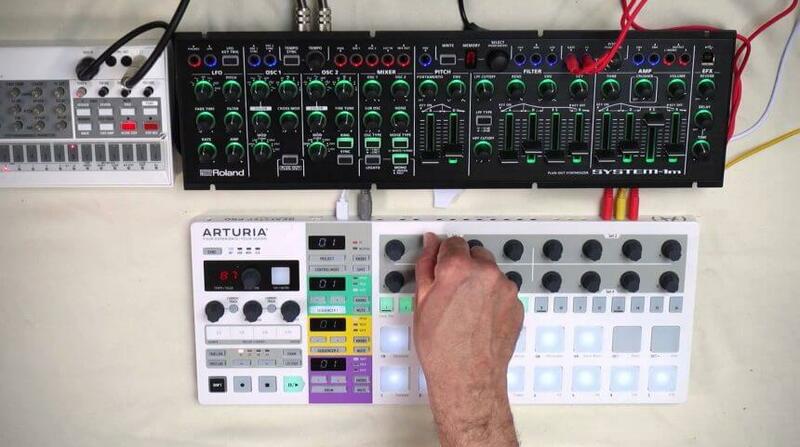 With these tools, multiple instruments can be used together in a live performance setting. Chris Catone is a composer, producer and multi-instrumentalist whose music is deeply rooted in the merging of technology and natural sound. As a producer, Chris creates and performs improvised electronic music featuring various synthesizers, drum machines and DIY sound generators.